I love how Macy's celebrates diversity! 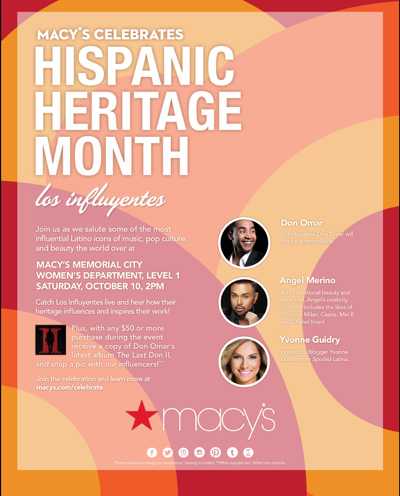 Join me on October 10th as I host the Hispanic Heritage Month "Los Influentes" event with special guest Angel Merino at Macy's Memorial City Mall. This is your chance to get up close and personal with some of the most Latino influential icons in music and beauty. Join the celebration and learn more about "Los Influentes" at macys.com/celebrate.